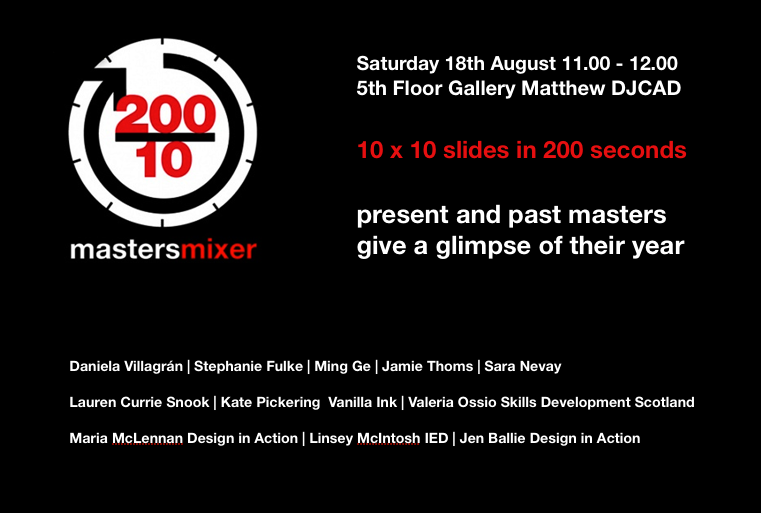 Speedy talks to accompany the Class of 2012 Master of Design exhibition. We’ll be talking about designing our lives: from healthcare to online identity to communities. Students, staff and graduates will give you an insight into their passions followed by an opportunity to look at the exhibition and chat to exhibitors. You can see a snapshot of current projects here and find the exhibition opening times here. Opening night Friday 17th at 6pm.